Interior Carbon-Fiber Upgrades - SoScary - the story! 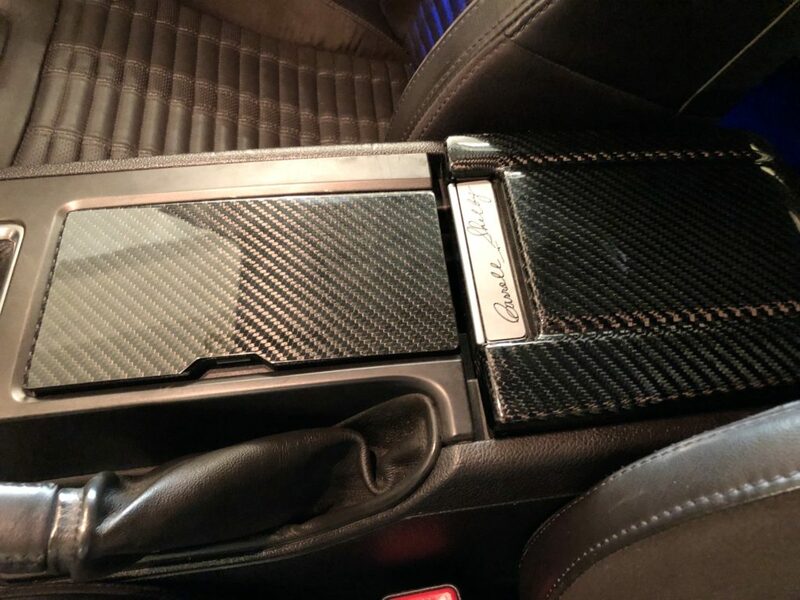 Interior Carbon-Fiber Upgrades - SoScary - the story! With all the major performance upgrades in place, I decided to switch attention to the interior of the car for a while. It actually started off when the car was parked at Shelbyfest in MO in 2018 and someone scratched the cowl on my passenger mirror. That started the search for carbon-fiber covers which led me to TruFiber’s products. Actual carbon-fiber is not cheap, but the results are great so I bought a pair. I was so happy with the result that I decided to upgrade the whole interior console too, starting with the cover over the beverage holder and the center console lid. These two were stick on panels of real carbon fiber. That followed with replacing the gearshift panel and the fascia around the GPS. These were a much bigger deal, however, because the c/f panels actually replace the OEM ones – they are not stick on covers. Ford (in all their wisdom) do not make it easy for you to release the gearshift bezel and boot so it took a number of hours to remove numerous plastic welds and re-attach the new c/f panel using a hot glue gun. The results, however were stunning. 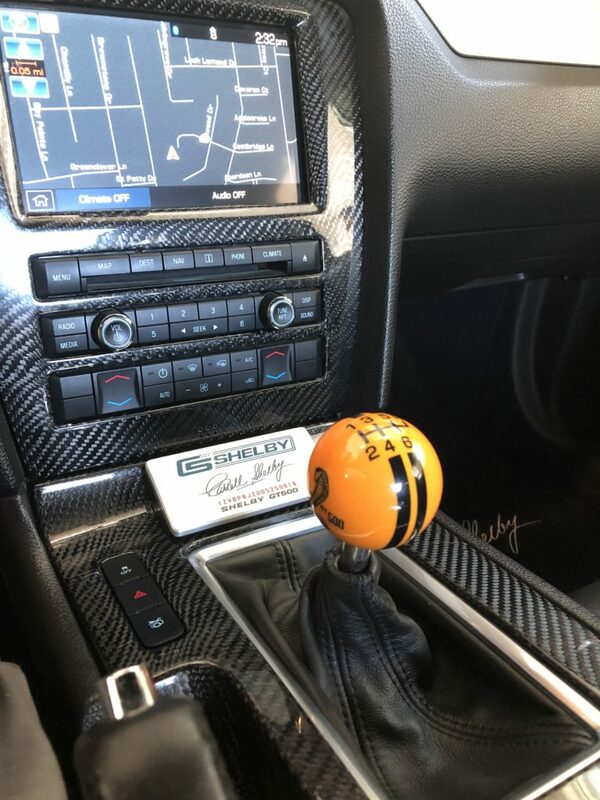 This entry was posted in Interior Carbon-Fiber Upgrades. Bookmark the permalink. ← Brakes, Tires and Safety Upgrades!